Long-time readers probably remember this site from 15(!) years ago as a resource for non-mainstream Japanese rock music. Had I launched it back in 1996, it might have been a resource for Celtic music. Boy did I go through a Celtic music kick in the mid-90s. A friend of mine from high school sowed the seeds for this fascination. 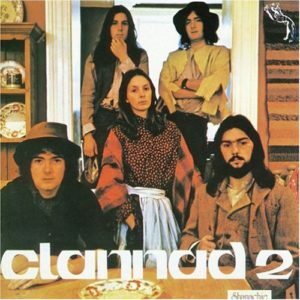 Although I had learned about Clannad before he did, he convinced me the band’s folk era in the ’70s was far better than the pop band they turned out to be. We both dug “Harry’s Game”, though. In 1993, I took a political science class as part of my core requirements, and the instructor arranged for the class to get Internet accounts. The campus was two years away from providing Internet accounts to everyone, but till then, e-mail accounts were granted only to computer science majors and students in classes that required the Internet as part of its curriculum. The accounts would have been deactivated at the end of the class, but I kept using mine. The web was still in its infancy, and I had yet learned how to create a page in HTML. But I did learn how to subscribe to mailing lists and to visit newsgroups. Given my fascination with Clannad, I visited a group called rec.music.celtic. Within a week, I had recommendations for other artists similar to Clannad. Over the next three years, I would get my hands on albums by Capercaillie, Talitha Mackenzie, Altan, Boiled in Lead and Wolfstone. I signed up for the postal mailing list of Green Linnet Records and soon afterward discovered Värttinä and the Klezmatics. Of course, record stores in Honolulu didn’t actually stock albums by any of these artists. So how did I get my hands on them? The first e-commerce site I ever used was not Amazon, or even its predecessors CDNow or Music Boulevard. It was CD Connection. And the service didn’t even have a website — it had a Telnet server. That’s right — Telnet, not SSH. I bought music through a command-line interface! That experience sold me on the potential of the Internet. I was a kid in Honolulu with little access to music outside of radio and MTV, but with the help of people from clear across the globe, I could indulge in an interest as esoteric as Celtic music. From today’s perspective, I took a big risk handing my credit card number over an insecure protocol such as Telnet. Back then, the Internet hadn’t yet been made available to the nation at large. It was still the domain of universities and governments. Net etiquette was easier to enforce, and users really invested into the egalitarian potential of the Internet. But using the Internet as a source of music discovery is something I learned early on, and it eventually led to the launch of Musicwhore.org as a resource for Japanese music when I saw a niche being underserved.